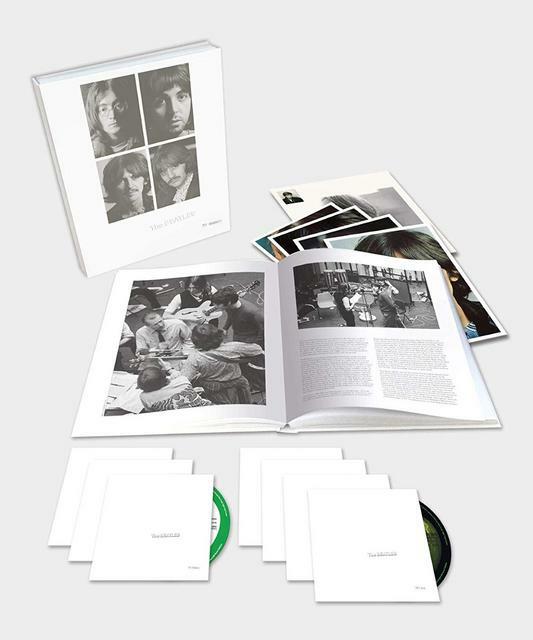 For those interested, this is what the cover of the 4-LP box will look like (taken from the River in Japan). I believe the CD set will follow the same format. Kevin, any pricing indications yet in amongst those rumours? I am going to have to get this probably the Lp version. Given the stunning level of sound on the Giles Pepper set, I'm in. To what depth, we'll see, as it doesn't have quite the magic for me as Pepper. As impressive as Giles Pepper set was, I think it's a shame that everything is so "in your face" regarding the mix. It seems so typical of the loudness wars problem where the dynamic range is reduced to be almost nothing. I tend to find myself still plying the original with the occasional listen to the new version. Xmas is coming.....buy and help Santa,s elf抯 find the right presents???? Dammit, they want more of my money again. 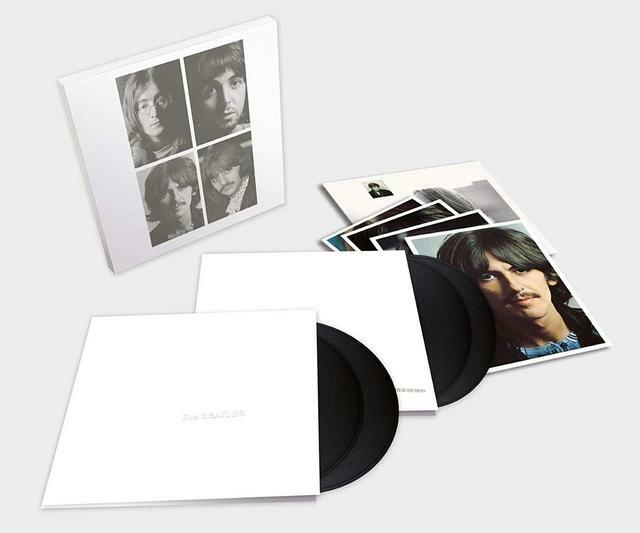 It's at � for the 4LP vinyl issue. have it on 180 great album - will have to ask Santa! Check out Pledge Music - much, much cheaper there; only �0 for the super deluxe, for example. Super deluxe ordered! After my trip to Abbey Road for one of their lectures this year my appetite for all things Beatles is well and truly whetted! I suppose it is too much to hope that they will offer the 96/24 as a download from the beginning, instead of forcing people to eith閞 hack the Blu Ray or wait a year? I see this is available on all streaming platforms in all its glory. I抦 holidaying at the moment, hope to get a listen on iPad later today. I see HighResAudio have two version for download, Super Deluxe 107 track & Deluxe 57 track in 24/96 FLAC. Disappointing that there is not a download of only the original album tracks. I bought the Deluxe Sgt Pepper & after a few listens to all the out takes, experiments, foundation tracks & studio chat I decided it was no more interest & not something for a musical listening session. So I made a copy & stripped out all the extra tracks leaving just the original Sgt Pepper tracks. So the new White Album, thanks but I'm Out. Qobuz have the deluxe, which is the album and the Esher demos, for � or � if you are a Sublime subscriber. I wouldn抰 want all the other stuff, but � sounds fine for the album. I'd really just want the Esher demos on their own...! Ah well. I've downloaded the Deluxe from Qobuz at �.99 and given a couple of tracks the onceover compared to the 2009 remaster, which I thought was fine. Back In The USSR - firstly the remix is quieter, with more bass clarity and weight, and the whole thing sounds more refined. In a good way. While My Guitar Gently Weeps - again less loud, greater bass thwack and the level of transparency in the mix quite wonderful, for example the double tracked vocals at around 3:00 is a hair-raiser. One thing though, the ending section (from about 3:40) they seem to have brought up George's wails in the mix. Faithful or not it adds an extra poignancy to it (and there's a single piano phrase right at the end of the fade-out that's been brought up in the mix).